← il caffè: I finally got you! Another gorgeous day in Stockholm today. In fact, it was almost too nice. When I woke up this morning, I really felt like spending the day in bed. Yeah, it was one of those days. Slowly, as I emerged from sleep, I could feel how hot it was in my room, from the sun beating down on my blinds. 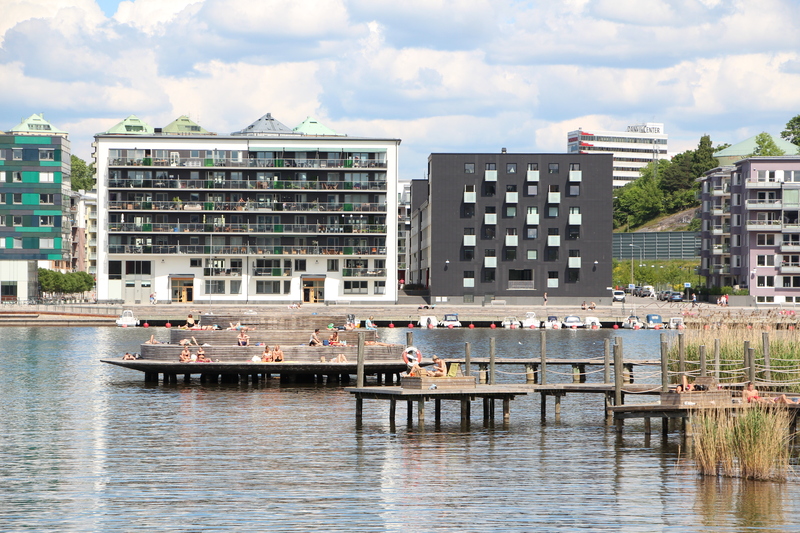 While spring has been spectacular so far in Stockholm, I know from last year’s experience that summer days can be rare, so I quickly decided to postpone my day of laziness in bed and, after a quick shower, I was on my way to Hammarby Sjöstad. I had been there a couple of times for work meetings or coffee, and most recently when I found myself being the official truck driver for a friend who was moving. Hammarby Sjöstad is a pretty cool neighborhood in Stockholm. I won’t repeat what I said in the past, but if you forgot – or if you are new to this blog 😉 – you can read more here. 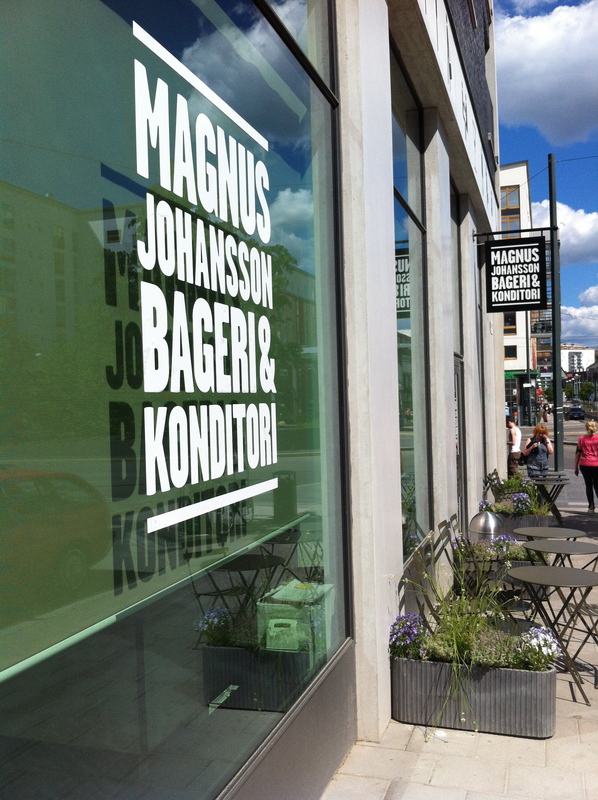 When I left my apartment, I knew exactly where I’d make the first stop for coffee: Magnus Johansson Bageri & Konditori. 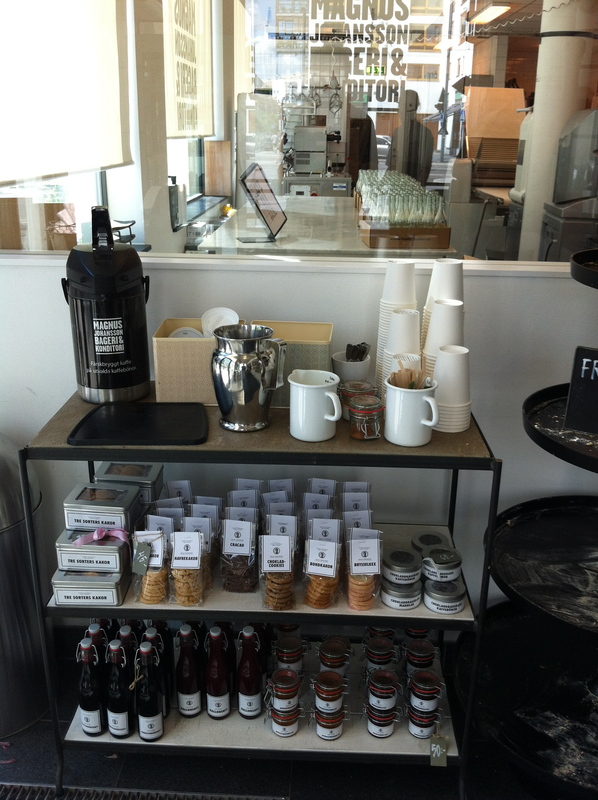 I Had a quick coffee there a few months ago before playing the truck driver. It really was a quickie back then so I did not bother blogging about it, but I knew that the place deserved a second visit. And today was the day. Magnus Johansson is located right off the Sickla Kaj station, on a street corner which provides an optimal location for the afternoon sun. Magnus Johansson has a pretty impressive resume, which includes being in charge of the dessert at the Nobel banquet. As you will have realized from the place’s name, one can also buy fresh bread and beautiful pastries and cakes there. The bakery is located right next to the shop, which is only separated by a window. The place is a wonder for our senses. I am really talented at gaining weight… something I have been working hard to avoid in the last few months. As a result, I try as much as possible to stay away from the Swedish fika. Not always easy in Stockholm. And even more difficult when I see cardamom buns. 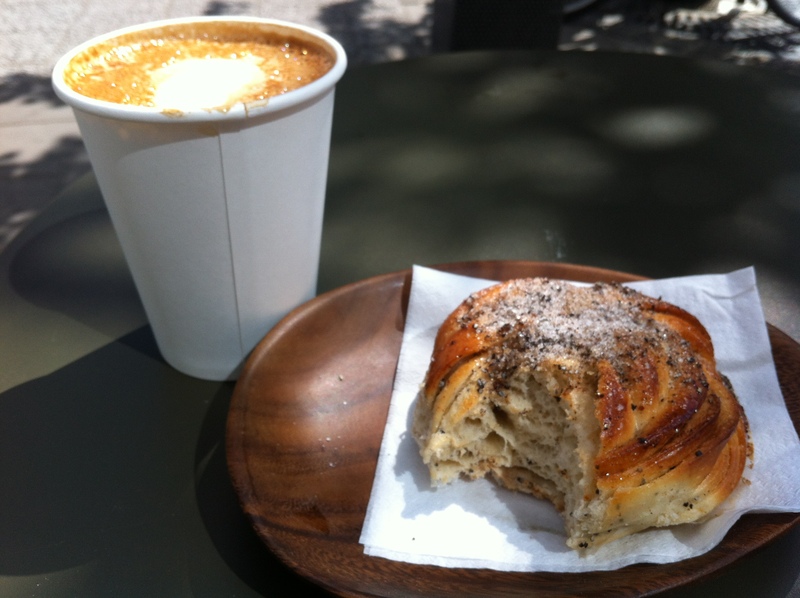 Since I can easily be magnanimous towards myself, it didn’t take too much time to convince myself that with all the walking that I would be doing today, I could certainly enjoy that cardamom bun. Which I did with a nice latte. I already have an excellent provider for cakes: Fantastisk Fika. 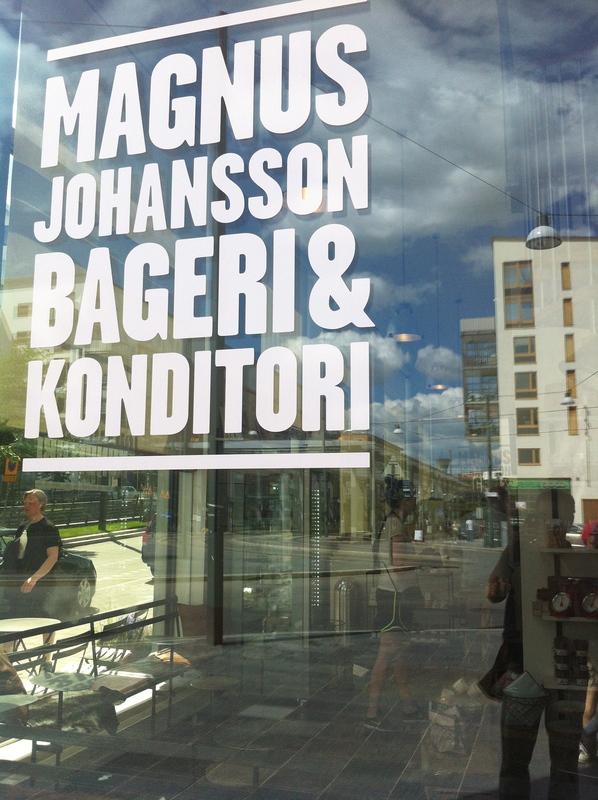 Realistically, I am unlikely to buy cakes from Magnus Johansson, but I will certainly go back for bread, coffee and buns (in addition to the cardamom, one can also get the traditional cinnamon bun and others). But not tomorrow as they forecast rain for Stockholm. I’ll probably spend the day in bed, reading and dreaming about my upcoming vacations to Gotland!